Footage has been released of cracks found inside a reactor at a nuclear plant in Scotland. 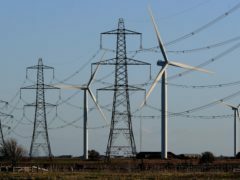 EDF has reported a sharp drop in UK earnings last year as it lost 200,000 customers to rivals amid a “highly competitive” market. EDF Energy is to increase its standard variable electricity tariff by 1.4% – £16 a year – from June, affecting around 1.3 million customers.